ADELAIDE — Having become the first Indian team to win a Test cricket series-opener on Australian soil, Virat Kohli’s side are determined to keep the momentum rolling into the second clash in Perth and inch closer to a breakthrough series triumph Down Under. The HeraldADELAIDE — Having become the first Indian team to win a Test cricket series-opener on Australian soil, Virat Kohli’s side are determined to keep the momentum rolling into the second clash in Perth and inch closer to a breakthrough series triumph Down Under. 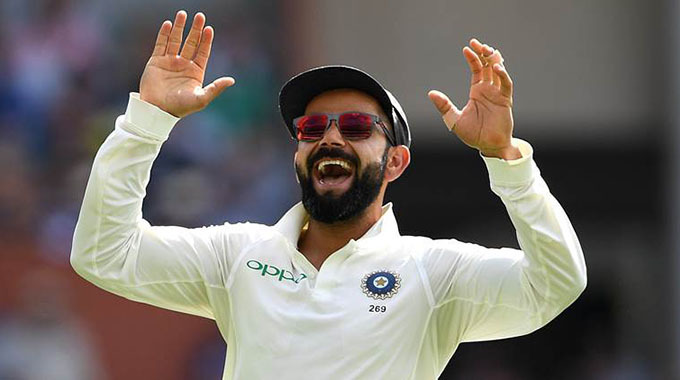 Despite the quick turnaround, Kohli suggested the tourists were leaping out of their skins to land another blow on Tim Paine’s shaky side in the four-match series. Kohli will hope for more from the recalled opener Murali Vijay, who has struggled to justify his place in the side this year. Kohli, who struck four centuries in the 2014-15 tour of Australia, is also due a score after being dismissed for three and 34 in Adelaide.